This is a Truck!!! 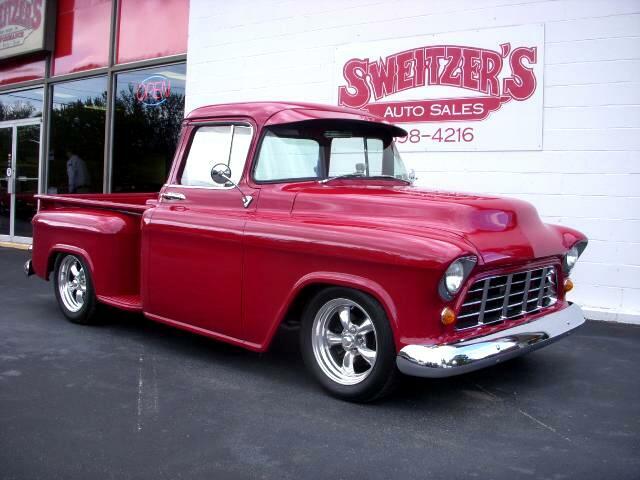 You are looking at a 1955 Chevrolet C10 with a 5.3 liter V8 in it. This has the Gm 4l60e Transmission and the Corvette Front A arms under it. This has heat and Ac in it. This truck is a real work of Art. You need so see it in person. Message: Thought you might be interested in this 1955 Chevrolet C/K 10.